The Crisp, Fresh Taste of the roasted vegetables paired with the soft polenta. This “lasagna” is guaranteed to become an instant classic. Heat water, milk, and salt in a large saucepan on medium high heat to a boil. Whisk in cornmeal slowly until combined to make polenta. Reduce heat to medium low and cook, stirring with a spoon for 20 minutes. Polenta will thicken. Pour polenta onto an 11x17-inch rimmed cookie sheet sprayed with cooking spray. Spread mixture until it forms an even layer. Allow to cool at least 30 minutes. While polenta cools, toss the vegetables and oil together in a large bowl with salt and pepper. Bake in a single layer on a large baking sheet for 30-40 minutes until the vegetables are caramelized. Remove from oven to cool slightly. Season the ricotta with salt and pepper to taste in a small bowl. 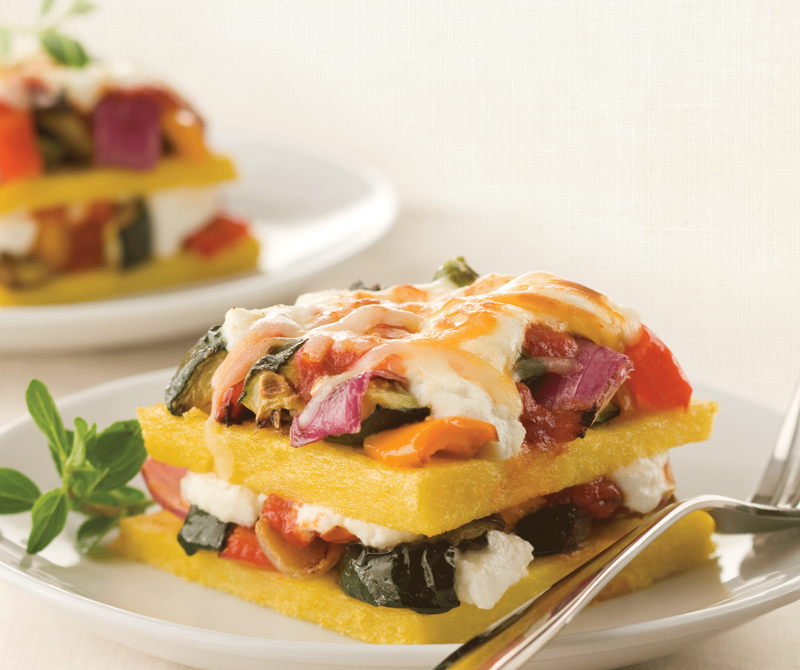 To assemble, cut the cooled polenta in half to form two 11x8-inch sheets. Spray an 11x8-inch baking dish with cooking spray. Spread bottom of dish with 1 cup tomato sauce and top with 1 sheet of polenta. Top with half of the vegetables and 1 cup of the tomato sauce. Dollop 1/2 of the ricotta in tablespoons all around the top of the sauce. Top with other sheet of polenta, remaining vegetables, 1 cup of tomato sauce, and remaining ricotta in dollops. Top with the shredded mozzarella. Cover with parchment and then aluminum foil. Bake for 30 minutes. Remove foil and parchment and continue to bake until top is browned, about 10 minutes more. 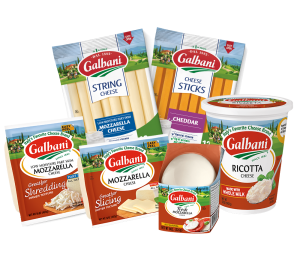 To add a little crunch to this dish serve with some toasted garlic bread, or top the lasagna with some Italian seasoned breadcrumbs.